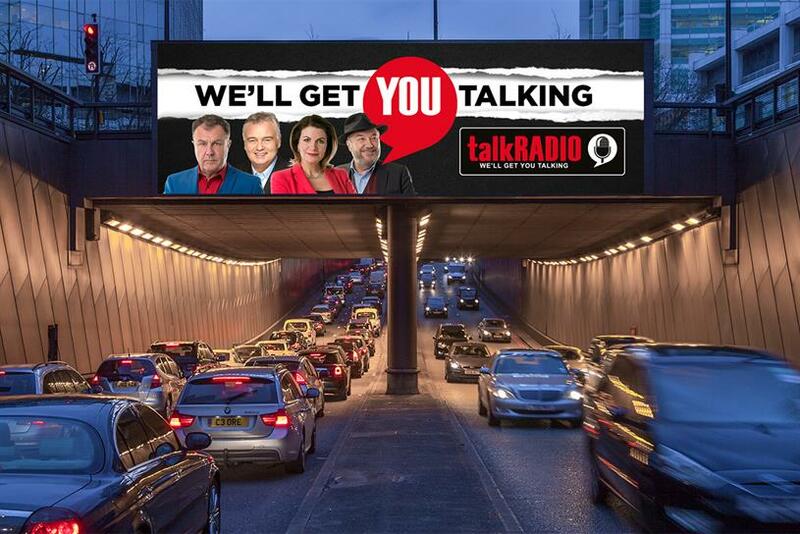 TalkRADIO, the new station being launched by the Wireless Group next week, is set to launch an interactive outdoor campaign that updates in real time based on stories and opinions of the day. The campaign, which breaks alongside talkRADIO’s launch on Monday, 21 March, will project presenters’ and listeners’ opinions as headlines in a speech bubble on digital billboards across London. Created by Mindshare and creatively executed by Lionhouse Creative, the marketing activity comprises a six-figure adspend and is meant to reach up to 3.1 million people. Similar offline messaging will also be seen as print ads in the Talk section of Metro for two weeks. Mindshare’s social listening team will work alongside talkRADIO’s editorial team to identify which stories are likely to trend on the day, using Spike and Mashable Velocity. ast month the Wireless Group (formerly UTV Media) announced that new presenters on talkRADIO would include Paul Ross, Julia Hartley-Brewer, and George Galloway, the former Respect MP, after his campaign to become Mayor of London concludes. Howard Bareham, the commercial development director at the Wireless Group, which owns talkRADIO, said: “Personality is at the heart of talkRADIO, so it’s only right that it should be launched via a campaign that is both opinionated and engaging.